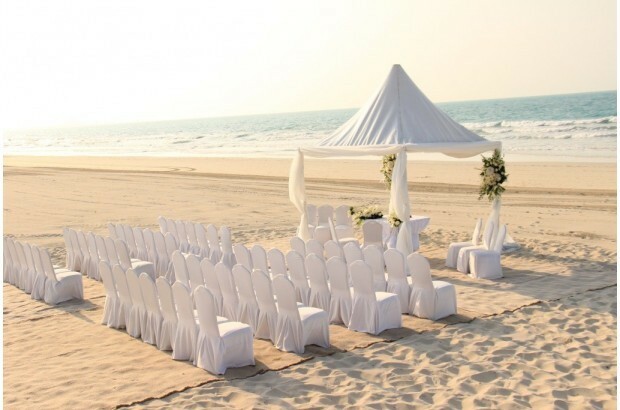 Today we’re looking at some of the most beautiful and secluded outdoor venues in Abu Dhabi. 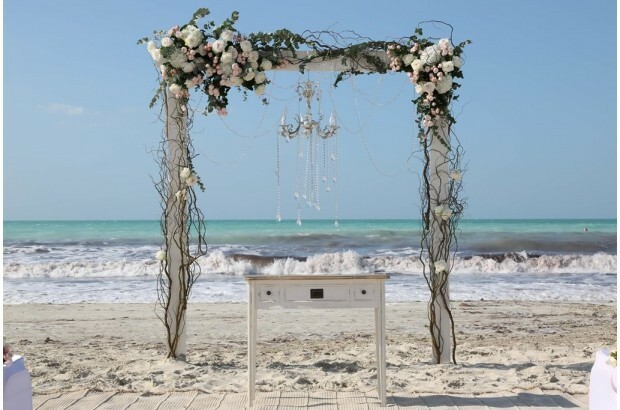 Whether your wedding takes place on a beach, nestled amongst the mangroves or on your own private island there’s no better outlook than mother nature. Abu Dhabi and Dubai are such busy, hectic places having your wedding amongst serene, natural beauty is a dream come true. 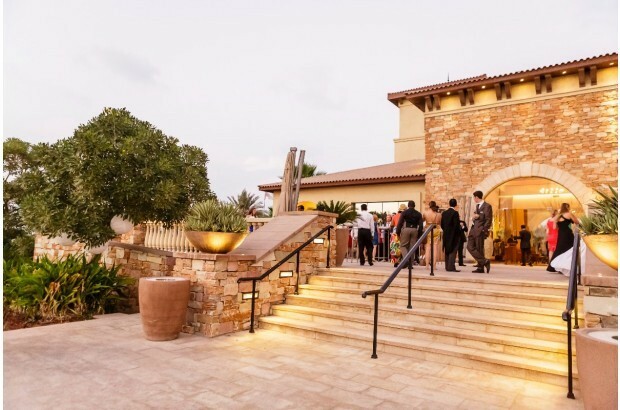 Let’s take a look around 4 venues in Abu Dhabi – all of which have incredible outdoor spaces. 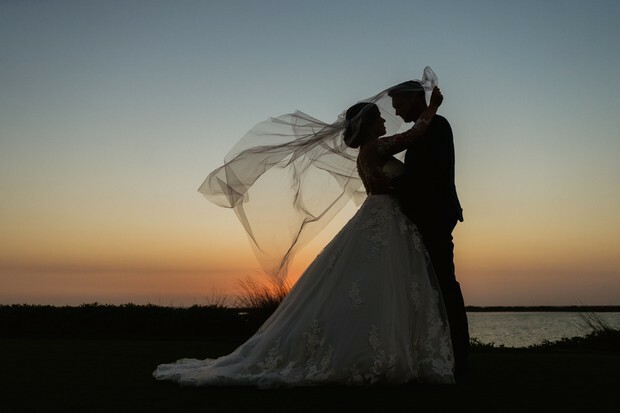 Located on Yas Island with stunning views of the Abu Dhabi skyline you’ll find Yas Links Golf Club, an ideal wedding venue. 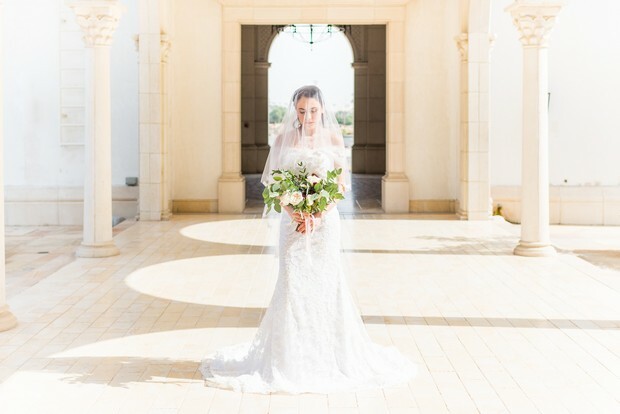 The Spanish-inspired Club House has an earthy, warm and rustic charm; an incredible backdrop for a ceremony whether it’s beside their infinity pool or their Andalusian courtyard. Their Range lawn is great for a large and extravagant event – so keep adding to that guest list! Capacities: Pool 120-150, Lawn up to 600, Range Lawn up to 2500! 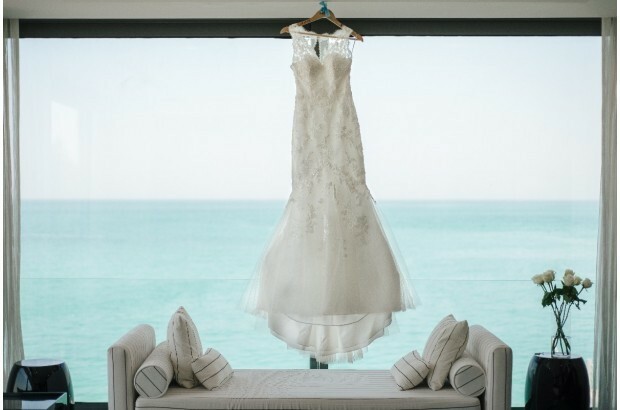 Perched on the sparkling shores of Saadiyat Island, Saadiyat Beach Club is a breathtaking location for couples dreaming of an idyllic beach wedding. 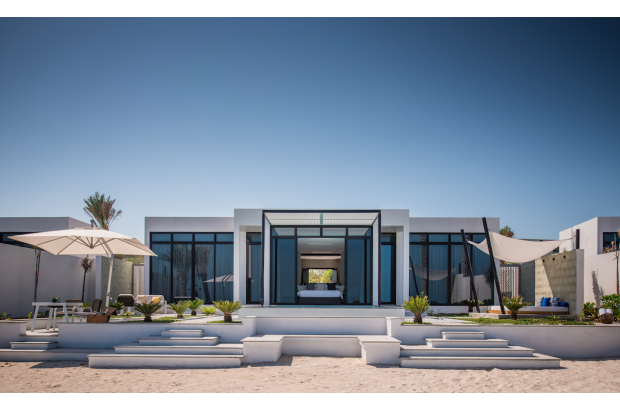 Built on 39,500 square metre site, the Beach Club is the perfect blend of natural beauty and modern design. The Club’s manicured gardens and its heavenly beachfront location provide couples with a picturesque vista for wedding photos. 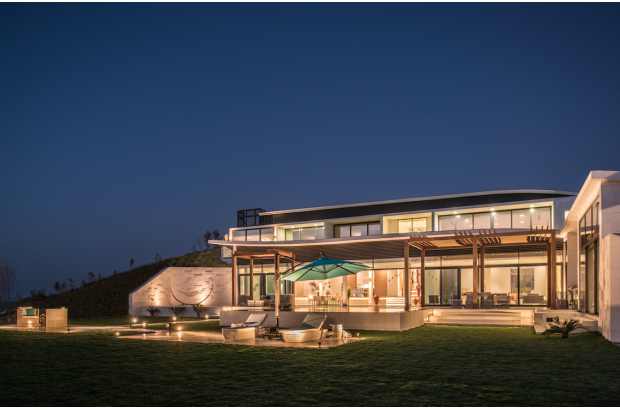 Capacities: Cabana Lawn 300, De la costa Lawn 500, De la costa Outdoor Terrace 70, Cabana Dunes 90. Zaya Nurai Island is a divine private Island resort. It’s just a 12 minute boat ride from Saadiyat Island and is literally out-of-this world! 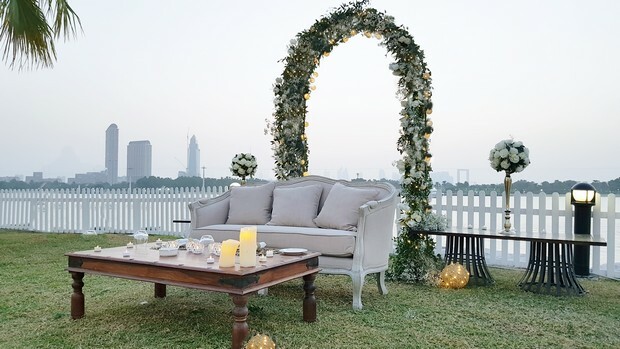 It has unspoiled views of the Arabian Gulf and ALL it’s outdoor venues have that WOW factor. Imagine flame torches, sand and glorious sea views. The Island offers a unique selection of luxury event spaces. Capacities: Hooked 60 to 110, Estate Villa 70 to 200 guests, Water Villa 60, Smokin’ Pineapple 300 guests. Island buyout accommodation for up to 180 guests and events for up to 300 guests. 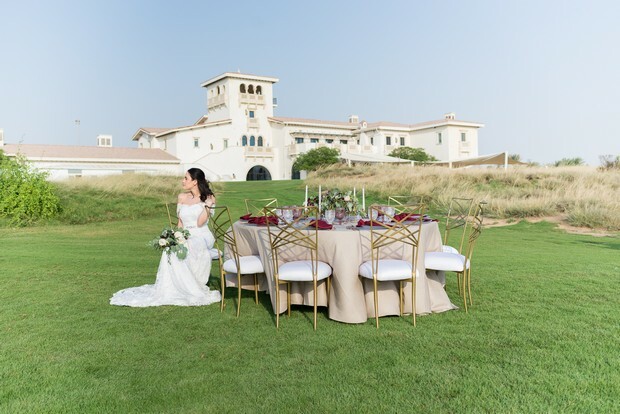 Couples dreaming of a relaxed outdoor celebration can say ‘I do’ on Saadiyat Beach Golf Club’s magical private lawns. The Club is surrounded by beautiful flora and fauna and with sensational views of the ocean it’s the ideal setting for the most important day of your life. It has many event spaces for any size of wedding! Capacities: 17th Tee 100, Front Events Lawn 350, Garden Lawn 150, Skyline Lawn 600, Full Driving Range 1,800. 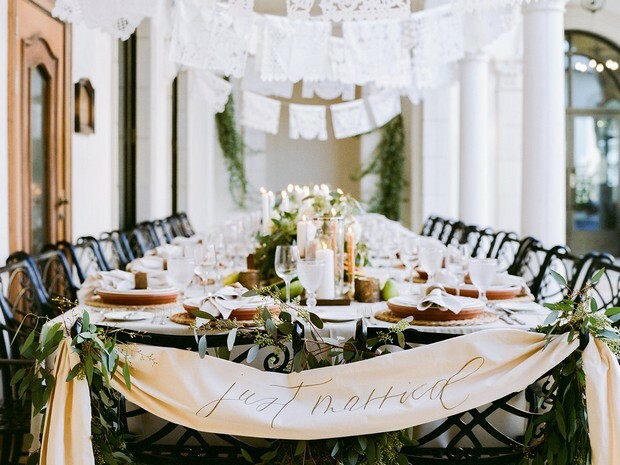 To search for your perfect outdoor wedding venue have a look at our full list here.